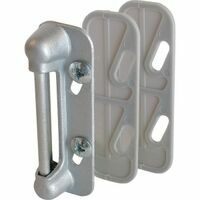 Prime-Line Strike Plate, Adjustable, Resilient, Spring, Suitable For Use With: Rigid Interior Latch, Aluminum, Aluminum, Gray, 2-5/8 in Length X 7/8 in Width, Includes: (2) 1/16 in Shims Prime-Line Strike Plate, Resilient, Spring, Suitable For Use With: Rigid Interior Latch, Aluminum, Painted, Black, 2-5/8 in Length X 7/8 in Width, Includes: (2) 1/16 in Plastic Shims Replacement jamb bracket for use with "Wright Products" Storm & Screen Door Closers (V820, SKU 164.5126, 548.9406), (V920, SKU N/A), (V1020, SKU 683.5631, 683.5706, 698.2185), and (VH440, SKU 639.7236, 683.6225). Use on screen or storm doors for positive closing action. Steel construction with zinc finish. Polybagged. 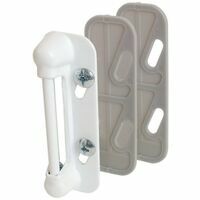 Prime-Line Screen Door Strike Plate, Adjustable, Spring Loaded, Suitable For Use With: Rigid Interior Latch, 2-5/8 in Height X 7/8 in Width, Die Cast, White, Includes: (2) Shims Replacement jamb bracket for use with "Wright Products" Storm & Screen Door Closers (V820, SKU 164.5126, 548.9406), (V920, SKU N/A), (V1020, SKU 683.5631, 683.5706, 698.2185), and (VH440, SKU 639.7236, 683.6225). Spring door chain with hold-up and nail. 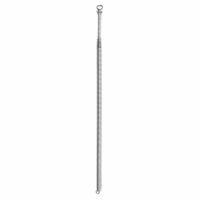 Features high tensile plated steel spring and chain. Screws included. Die cast & steel rod. Visual-pack. Die cast & steel rod. Visual-pack. Die cast & steel rod. Visual-pack. Protects door and closer from wind damage. 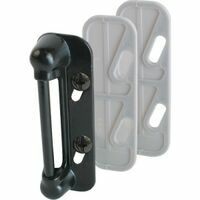 Includes wind chain and hold-up spring to prevent chain from hitting door and scratching glass. Mounting brackets and screws also included. Use on screen or storm doors for positive closing action. Steel construction with zinc finish. Polybagged.